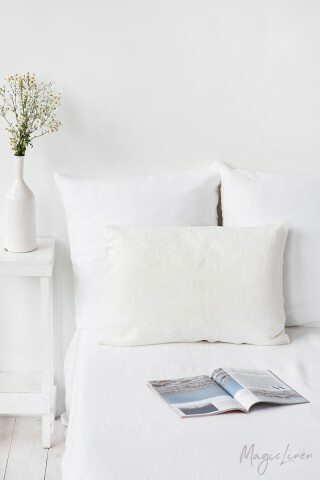 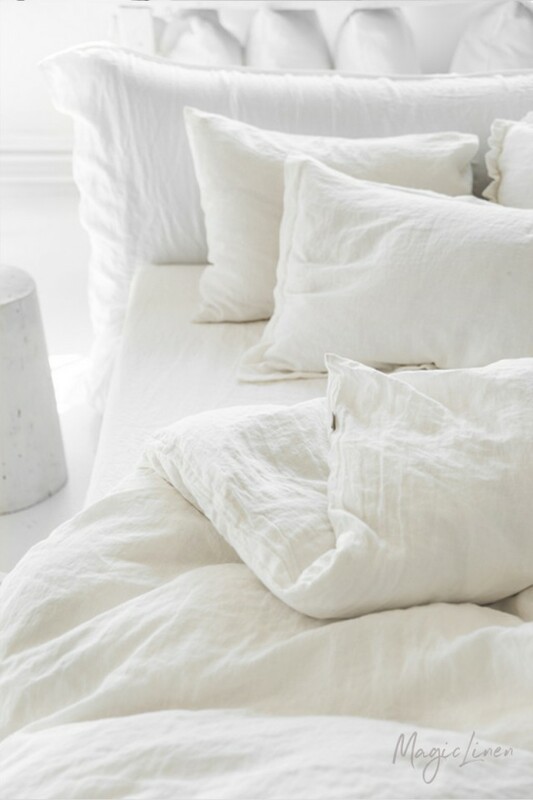 Linen duvet cover set in optical white or off-white (ivory) colors. 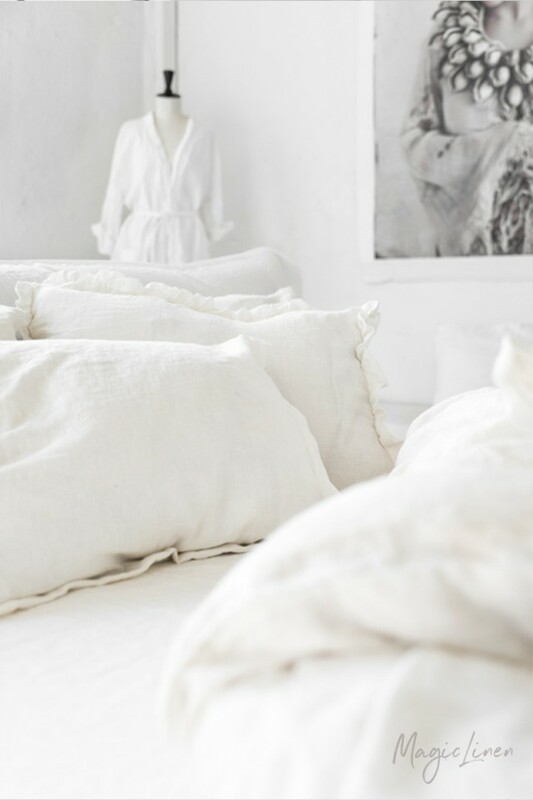 Refresh the look of your bed with this linen bedding set featuring a duvet cover and two regular style pillowcases. 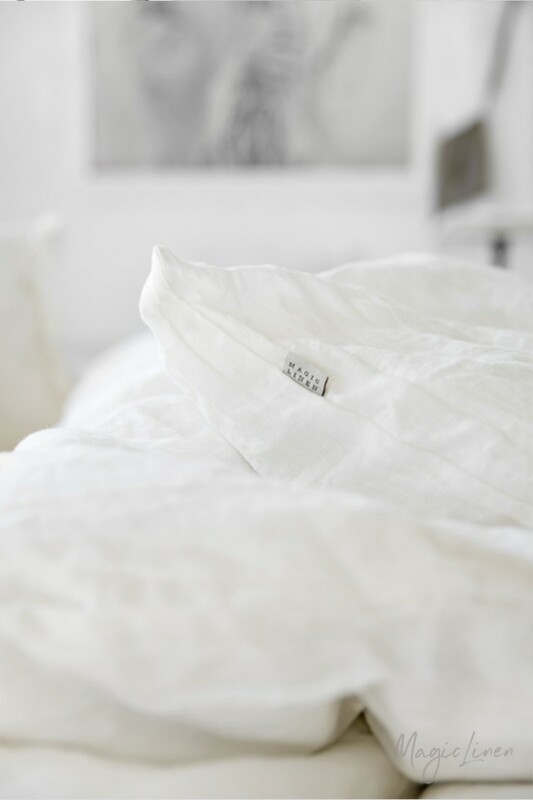 Our linen duvets are made from wide fabric and do not feature any additional seams in the middle. 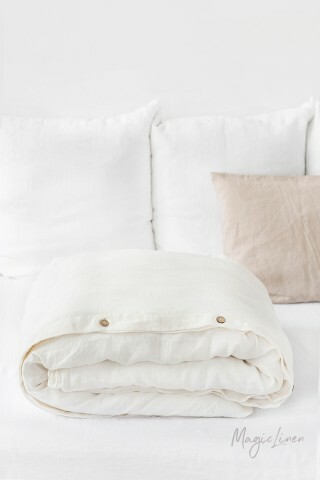 You can also choose standard, queen or king pillowcases for your bedding set. 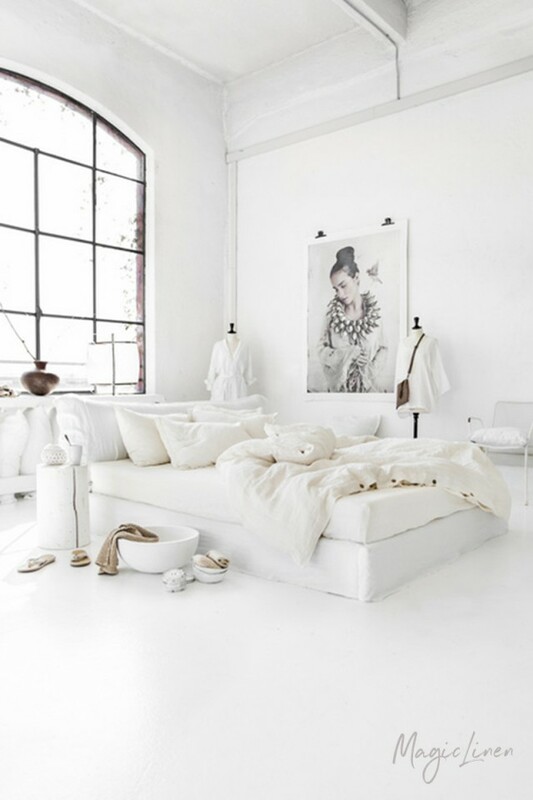 Color in photo: off-white (ivory).